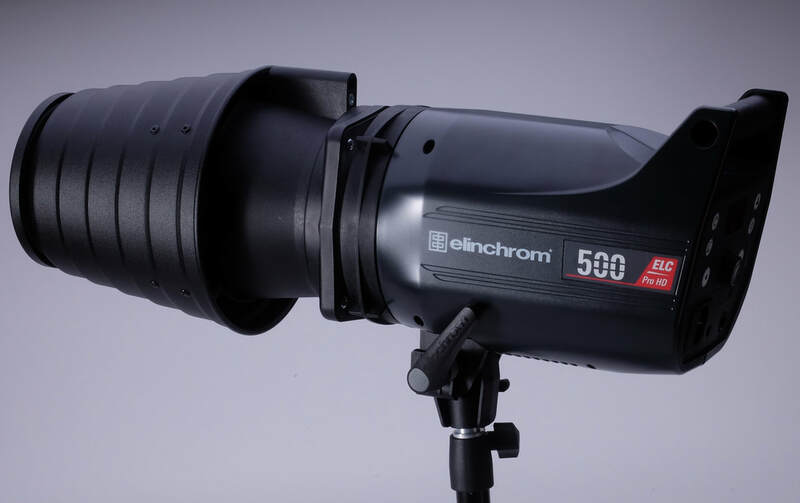 Elinchrom Studio Flash - a new chapter for me? Well from small acorns! 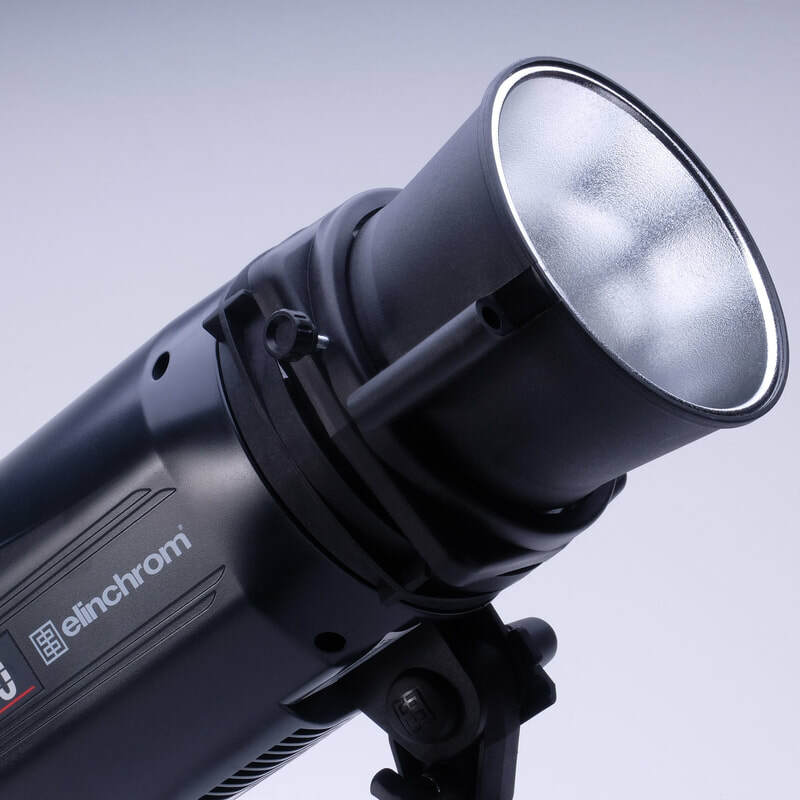 Just received the lowliest offering from Elinchrom, the D-Lite RX One (100ws) and I have to say that it's a rather nice little unit. Obviously based on its selling point it misses out on build quality, but it isn't so bad, re-cycle times are a bit long and I do miss there being a handle on the back for ease of adjustment when there is a 'brolly or softbox attached, but other than that I'm reasonably impressed. It has plenty of functionality inbuilt, indeed everything you'd expect these days; radio receiver (with group and frequency options) all the usual modelling light options (plus the ability to halve the output so it can stay proportional if you wanted to mix it with its bigger brother the RX Two) pre-flash elimination, modelling light or bleep confirmation (or both) of flash ready & so on. Now I'm not new to Elinchrom having used their heads plenty of times in the past but mostly the more upmarket Style or BRXi units as they used to be designated, so operationally there is nothing new to me, however one major change for the better is the new Skyport Plus transmitter - a whole league better than the its older iteration, albeit much larger! I've now used this unit (D-Lite RX One) a couple of times now and still remain rather impressed, great colour consistency, easy to use and love the deflector set that can be fitted to the 7mm umbrella receptacle just below the flash tube. The new Skyport Plus trigger is really nice although it doesn't have the ability to control the modelling light like the older version, so still end up going over to the head, when say using a snoot and need to switch the modelling light off to reduce the heat generated. 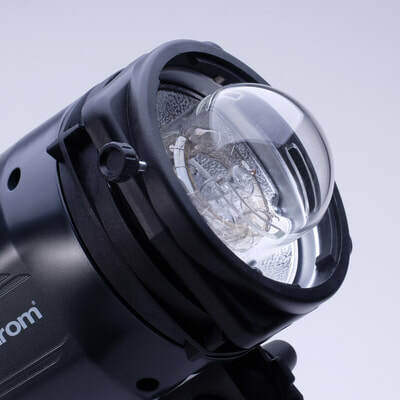 With the recent price hike with Harrison Cameras for Multiblitz heads, it has finally pushed me to seriously look at the alternatives! After quite a bit of research, I kept coming back to the top of the line Compact head offering from Elinchrom - the ELC Pro HD's so a 500 was duly ordered. 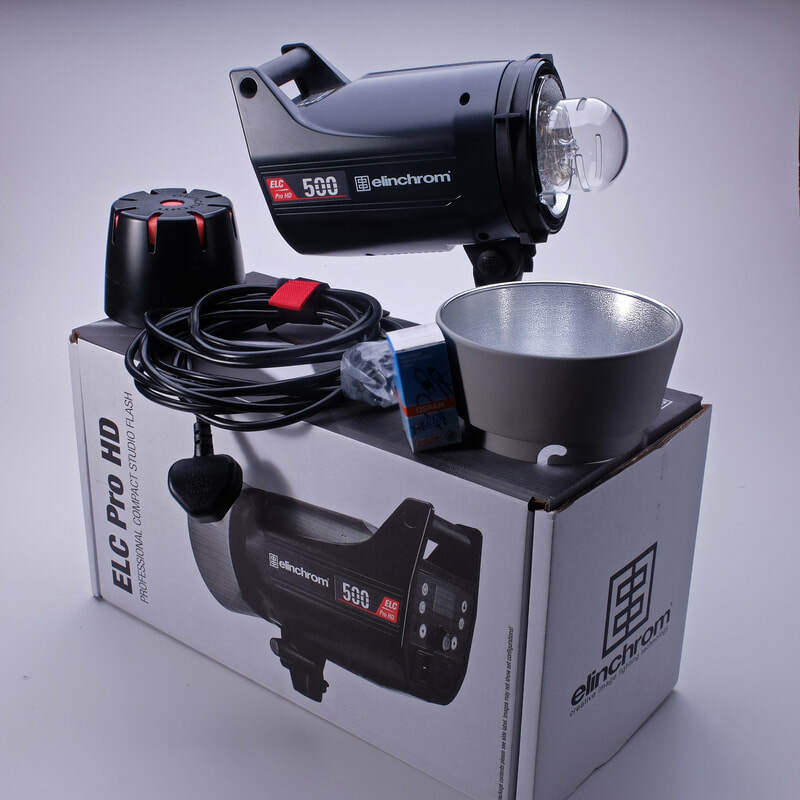 Ultimately, this will replace the Multiblitz Profilite 500, which I've never been that happy with (slow recycle time, very long flash duration and no Trigger Happy integration). The specs for this unit are very impressive, plus of course it has various 'creative' options; Strobe, Delay & Sequence mode - those I'll be exploring in due course. I was actually very impressed from the first moment I opened the box, the mains lead was coiled (hurray) the proper way to store cables - I've spent hours trying to get the kinks out of folded cables so that I can then coil them, plus it came with a Velcro tie/keeper! Also it comes with a full(ish) manual, as well as the usual quick start guide usually only packed these days and shock, a reflector so you can use it straight out of the box, after all they're always shown with a reflector in the adds' and in the small print stating that it isn't included! Build quality is very good without being exceptional, but I'd say on a par with what I'd become used to with Multiblitz, though I'm not a fan of the rubberised handle and the modifier mount locking ring does feel a bit cheap - think I actually prefer the 'switch' type lock on the D-Lite's. Powered up the unit and went through the menu options, all seem reasonably straight forward, especially like the inclusion of the 'Statistics' where you can see how much use the unit has had - great for buying second hand! The display is very informative, but a bit small for my liking (need to keep my glasses on, which I don't usually do when taking pictures) as it holds loads of information. Very much like the ability to load/store personalised setups, I think this is going to provide quite a bit of creative possibilities over the coming months. Big thank you to Morco for the fuss free transaction, will certainly be buying from them in the future, especially as they are very competitive on pricing. 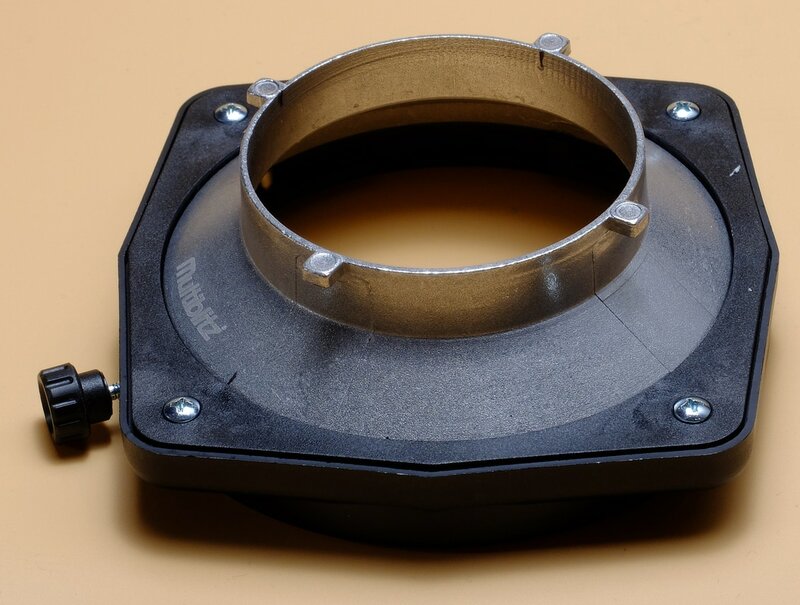 Elinchrom to Multiblitz 'V' mount adapter. 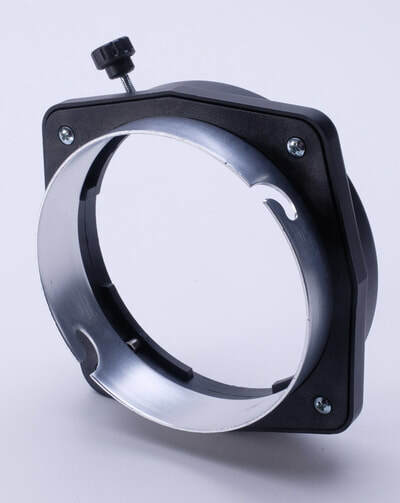 Above I mention that I'm not a fan of the Elinchrom combined Umbrella/Tilt lock so decided to use my Multiblitz 'P' to 'V' adapter and convert it to allow me to use my 'V' mount reflectors on the Elinchrom heads. Not too difficult, a reasonable half hour with a hacksaw, file and drill to complete the conversion. 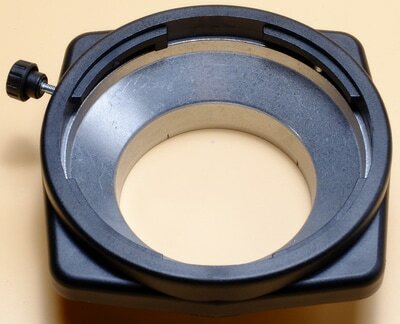 This will allow me to use the Multiblitz wide angle reflector, with integrated umbrella holder. The pictures above show that it doesn't look too out of place and I can use the rather fab Umbrella reflector & also as a bonus the add on Snoot attachment, which is one of the few that I'd be happy to leave the modelling light in use for reasonable (not throughout the whole shoot) lengths of time as it's large & very well ventilated. I've always like the idea of remote control & being able to see what the individual lights are set at and whilst the Normal Plus trigger is great, the HS trigger promises so much more! Now I couldn't really get a definitive answer answer as to whether or not it would work as just a trigger, without the more advanced functions if used on a non-dedicated camera (there are four types of trigger; Canon, Nikon, Sony & Olympus/Panasonic) and though a Fuji one is rumored to be in the pipeline I doubt it would support my compacts. But as I'm going to shortly be adding an Olympus Camera to my arsenal and I decided to buy this version. Thankfully it triggers the Elinchrom flashes fine when mounted on the Fuji's, so I've ended up with more than just a remote. 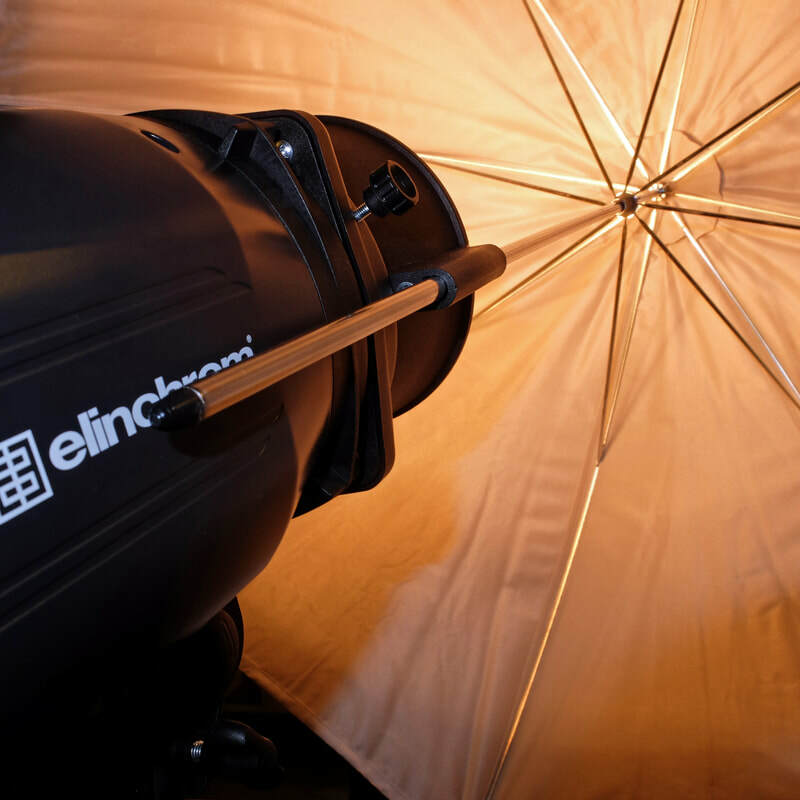 First job was to update the software, which was a stroll in the park thanks to Elinchrom's EL-Updater software. 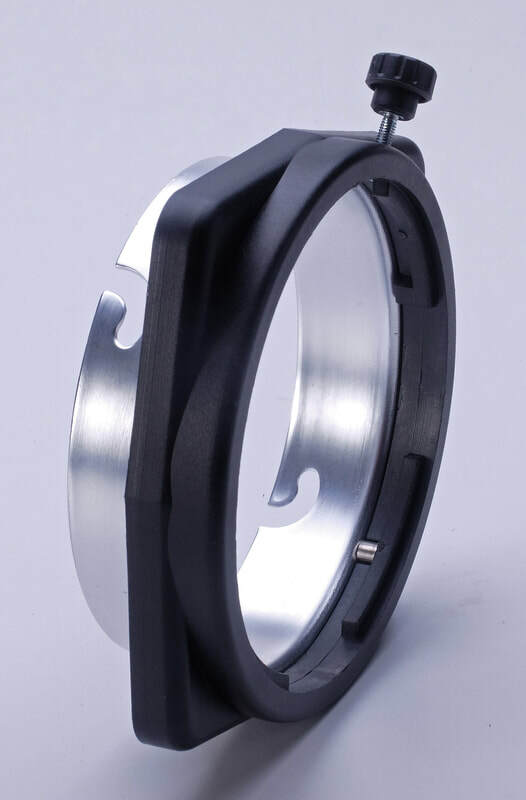 build quality seem very robust, buttons and dial are all positive and provide good feedback. so far the only oddity is the 'SR' socket next to the USB port, which although is pointed out in the manual, there is absolutely no mention of what it's for! Operationally there do seem to be a few quirks, but these are of minimal inconvenience, the first is when going up & down in power on the D-Lite One the modelling light always lags behind on the trigger screen, whereas this isn't the case for the Pro HD. The other thing is that when the flash heads are switched off the trigger still thinks they are on and active and it isn't until you re-scan in the Set-up menu that it registers they've gone. Anyway more to follow as I use this over the next few weeks. After a good trial period I'm must confess to being a little less enthusiastic about this head, yes it has some nice 'tech' on board and it does what it says on the tin, but every-time I go back to a Multiblitz head I can't help but revise my initial thought about the build quality - it just isn't up to the standard of Multiblitz! Initially I though it was OK, but in use, the high level of 'flex' when you push in or pull out the mains lead is a bit worrying, the feel of the buttons is not at all tactile and I really do dislike that rubbery handle on the back. Down more operational issues it really could do with another couple of stops of adjustment for power settings as I seem to perpetually run it at the lowest setting for most of my still life/product sessions.